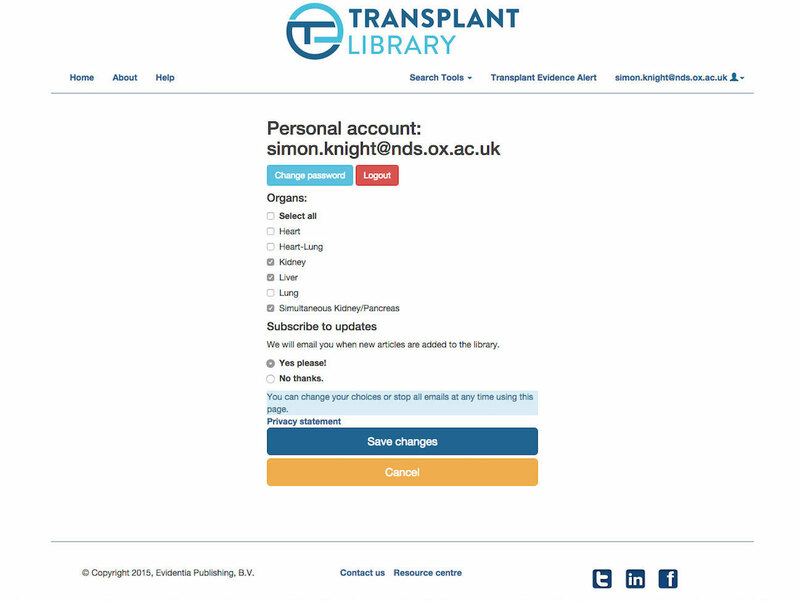 The Transplant Library was developed by the CET with the aim to provide high quality, evidence-based information on all of aspects of solid organ transplantation for the transplantation community. 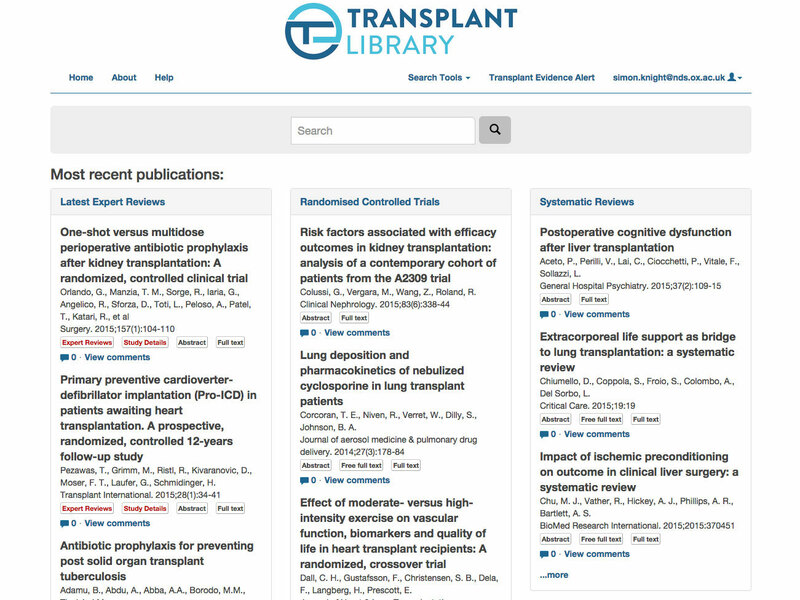 It serves as an easily searched resource for clinicians, researchers and other related health professionals as searching the Transplant Library does not require any expert search skills. 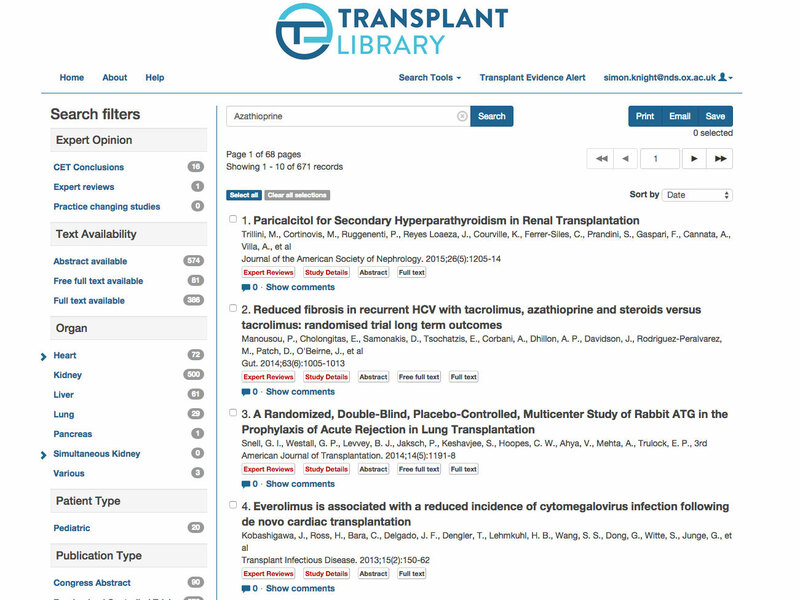 The Transplant Library is available on the OvidSP and the Evidentia Publishing platforms. Both platforms allow rapid and comprehensive searches on focused topics without any professional search skills. Find relevant results fast, with no specialist search skills. Narrow down your search results at the click of a button. Select your areas of interest for monthly alerts of the latest evidence, tailored to you. Access the Library from the members avenue via the ESOT homepage. Access the Library direct from the BTS website. If your institution has subscribed to the Library, you can access it directly with your Athens password. Contact the librarian at your local NHS library for details on how to access the library. Please contact Evidentia Publishing for a free trial and individual subscriptions. If you are interested in subscribing to the Transplant Library at your institution, please visit the Ovid or Evidentia Publishing websites. The library is also available from Ovid as part of a bundle of related products.